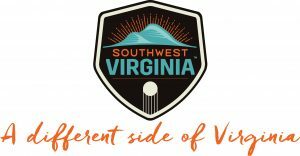 Abingdon, Va. – ‘Round the Mountain: Southwest Virginia’s Artisan Network has announced results from the September 12, 2017 jury session. Jamee Gillespie (Chilhowie, VA), Jessica Bier (Pound, VA), Nancy Brooks (Tazewell, VA), Mark Cox (Floyd, VA), James Garrison (Christiansburg, VA), Daryl Lee (Nicklesville, VA), Terry Nicholson (Narrows, VA), Wayne Sheets (Troutdale, VA), Alex Snodgrass (Christiansburg, VA), Teresa Tilley (Abingdon, VA) and Sharon Williams (Glade Spring, VA). “We are thrilled with the results of this jury session. Each session brings new and distinctive work for consideration,” said Diana Blackburn, executive director, ‘Round the Mountain. A benefit of membership, `Round the Mountain members can submit their work to the jury process. A panel of their peers evaluate the work and provide written critique that is shared with the artisan, Blackburn explains. “This is the 23rd jury session held by ‘Round the Mountain since 2009 and total of 423 artisans from throughout Southwest Virginia have passed the jury process. Once juried, members have the opportunity to have their work for sale at Heartwood in Abingdon, VA and can participate in special opportunities and events,” says Blackburn. Jury sessions are held each year in March and September. The jury process is one of the many benefits of being a member of `Round the Mountain. Other benefits include: a “profile page” on the RTM website; credit union membership; being a trail site along the Artisan Trails of Southwest Virginia, and more. Visit www.roundthemountain.org to learn more or contact Diana Blackburn at dblackburn@roundthemountain.org or (276) 492-2410. ‘Round the Mountain is a non-profit organization created in 2005 to promote the rich craft and culture of the region by assisting the artisan community with marketing, educational and entrepreneurial opportunities. Funding partners include Virginia Department of Community and Housing Development, the Virginia Tobacco Indemnification and Community Revitalization Commission, Virginia Commission for the Arts and the National Endowment for the Arts. 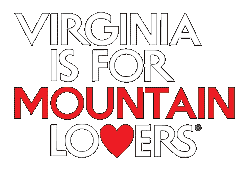 ‘Round the Mountain serves the Virginia counties of: Bland, Buchanan, Carroll, Dickenson, Floyd, Franklin, Giles, Grayson, Lee, Montgomery, Patrick, Pulaski, Russell, Scott, Smyth, Tazewell, Washington, Wise and Wythe and the cities of Bristol, Galax, Norton and Radford.